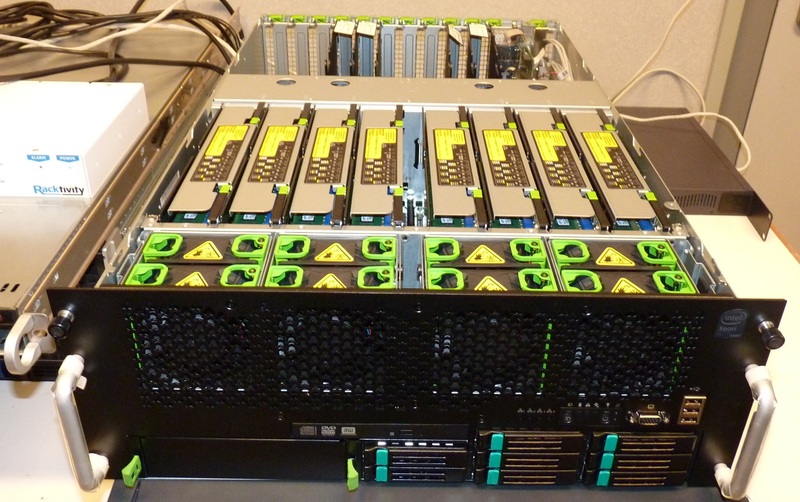 The Quanta QSCC-4R is an updated version of the server we reviewed a year ago. The memory buffers consume less power and support low power (1.35V) DDR3 ECC DIMMs. The server can accept up to 64x32GB Load Reduced DIMMs (LR-DIMMs), so the new server platform can offer up to 2TB of RAM! LR-DIMMs are the successors of FB-DIMMs. Fully Buffered DIMMs reduced the load on the memory channel courtesy of a serial interface between the memory controller and the AMB. The very high serial input frequency however increased the heat generation significantly, so the memory vendors abandoned FB-DIMMs after DDR2. Until recently, all large DDR3 DIMMs have been registered DIMMs. The new Load Reduced DIMM is a registered DIMM on steroids that buffers the address signals just like registered DIMMs, but it also buffers the datalines. LR-DIMMs therefore fully buffer the DIMMs and greatly increase the number of memory chips that can be used per channel without the power hogging serial interface of the AMBs. The downside is that buffering the datalines increases latency, especially with bus turnarounds. The QSSC-4R comes with a rich BIOS. 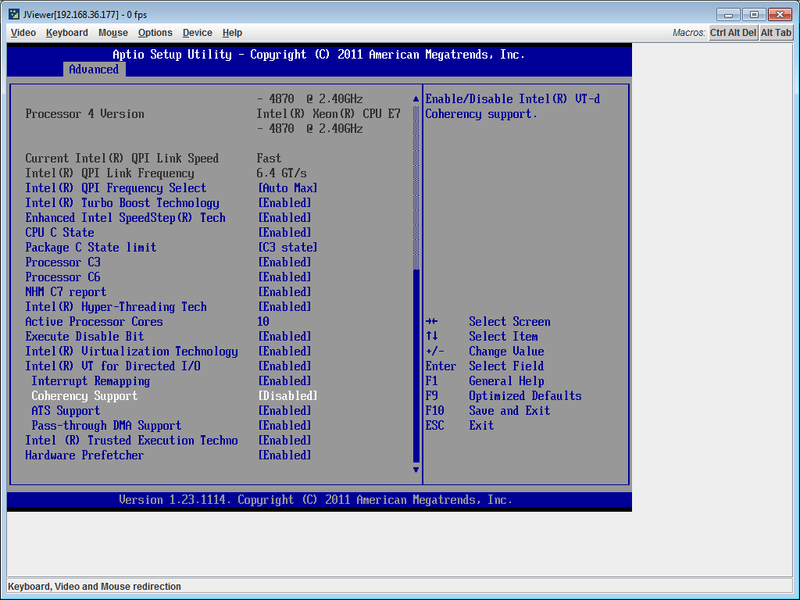 Below you can see the typical BIOS configuration that we used. As you can see we tested the Xeon with Turbo Boost and Hyper-Threading enabled. The R815 is not a direct competitor to the quad Xeon platform; it is more limited in RAS features and expandability (512GB of RAM max). 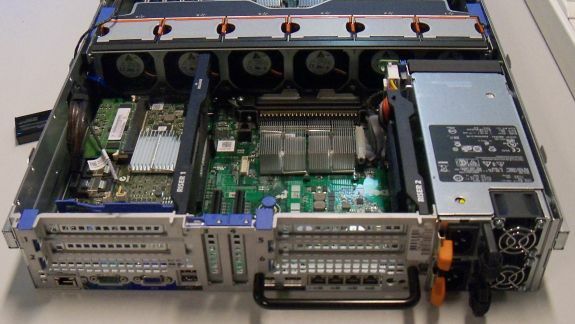 However, it is an attractive alternative for some of the more cost sensitive quad Xeon buyers. Its very compact 2U design takes half the space of the quad Xeon servers, and a fully equipped quad Opteron server with 256GB of RAM can be purchased for less than $20,000. 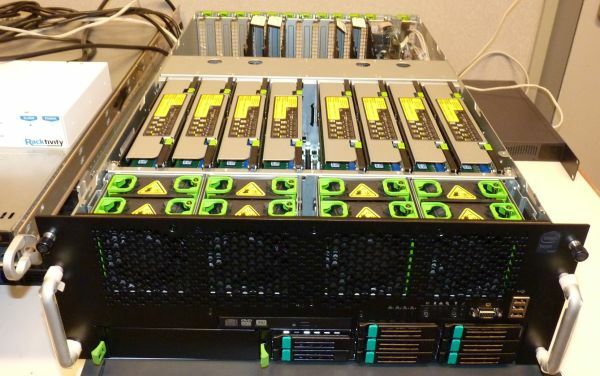 A similar quad Xeon system can set you back $30,000 or more. The storage setup is the same as what we described here. I'd be more interested at seeing how they perform in slightly more "generic" and non-GPU optimizeable workloads. If I'm running Linpack or other FPU operations, particularly those that parallelize exceptionally well, I'd rather invest time and money into developing algorithms that run on a GPU than a fast CPU. The returns for that work are generally astounding. Now, that's not to say that General Purpose problems work well on a GPU (and I understand that). However, I'm not sure that measuring the "speed" of a single processor (or even a massively parallelized load) would tell you much, other than "it's pretty fast, but if you can massively parallelize a computational workload, figure out how to do it on a commodity GPU, and blow through it at orders of magnitude faster than any CPU can do it". But sometimes (actually, every single time in my experience) the "expensive software" that's been bought to run on these servers lacks a GPU option. I'm thinking of electromagnetic or finite element analysis code. Finite element engines are the sort of thing that companies make a lot of money selling. They are complicated. The commercial ones probably have >10 programmer-years of work in them, and even if they weren't fiercely-protected closed source, porting and re-optimising for a GPU would be additional years work requiring programmers again at a high level and with a lot of mathematical expertise. I agree with you. In my experience GPU computing for scientific applications are still in it's infancy, and in some cases the performance gains are not so high. There's still a big performance penalty by using double precision for the calculations. In my lab we are porting some programs to GPU, we started using a matrix multiplication library that uses GPU in a GTX590. Using one of the 590's GPU it was 2x faster than a Phenon X6 1100T, and using both GPUs it was 3.5x faster. So not that huge gain, using a Magny-Cours processor we could reach the performance of a single GPU, but of course at a higher price. single vs double precision isn't the only limiting factor for GPU computing. The amount of data you can have in cache per thread is far smaller than on a traditional CPU. If your working set is too big to fit into the tiny amount of cache available performance is going to nose dive. This is farther aggravated by the fact that GPU memory systems are heavily optimized for streaming access and that random IO (like cache misses) suffers in performance. The result is that some applications which can be written to fit the GPU model very well will see enormous performance increases vs CPU equivalents. Others will get essentially nothing. Jarred, my guess is that it is spam, and that there was a link or some HTML posted which was filtered out by the comments system.